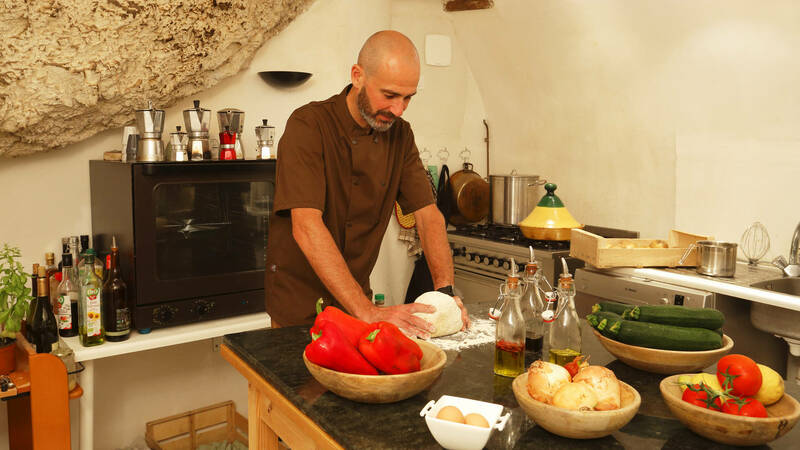 By the simplicity of their cooking and the elegance of their service, Olivier & Elena serve traditional food, both French & Italian dishes, using local flavours and products. Lasagne or tiramisu, roasted leg of lamb or vegetarian food, taboulet made from locally grown spelt with Provence herbs, every meal is home-made and prepared respecting the environment. All the ingredients are organic, regional and seasonal. As the weather gets warmer, restaurant service takes place on the terrace of the courtyard, where ours guests can enjoy the cool atmosphere and the cheerful tinkling of the fountain. 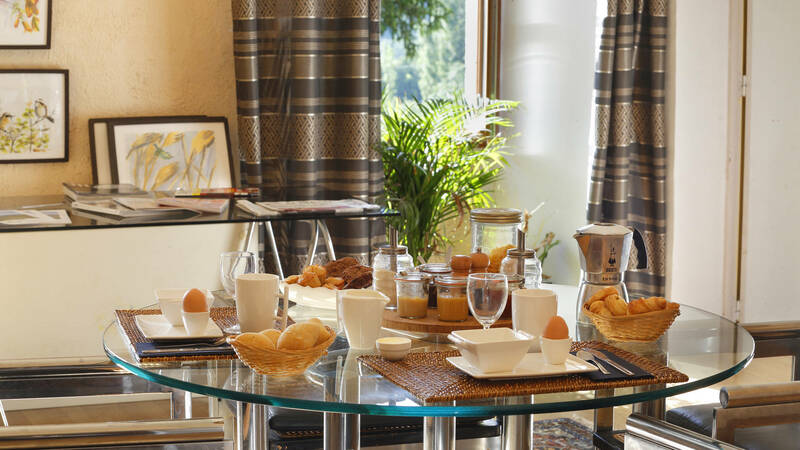 Breakfast, is our speciality : taste the home-made marmalades made from garden fruits, local honey, home-made bread, goat’s yogurts and fresh eggs…your host baked cakes are specially prepared every morning according to the season.